Today I am experimenting with ways to put video right on any web page. First, Michael took a bunch of videos with a Sony camera. We loaded them into a laptop at the WTLS studio. Then I copied them to my laptop in Florida over the web, it took 11 hours, Ugh! Next I used some Sony software and edited them into a montage and added music. The program output the video as a huge windows media file. Finally, I uploaded the file to Livestream where it got converted to flash. Now the video is in the Flash format, so we can see it on the LIVE TV channel. I also put it in the video on demand, you can see it by going to the top of the page, select the "ON-DEMAND" button, find "SPECIALS" and click on "Trade Days"
I then downloaded the flash file, and using the blogger editor, inserted the flash file into this blog entry. Here is the result.... However, it will play much better if you turn off the "power" button in the channel viewer at the top of this page. Here is the code that makes it show up on this page. You might be able to put this code on other web sites. The above code might not work because Blogger.com might not allow your site to play video they have on their server. You can try embedding the code to put a Livestream player on your web page. Do this by going to the video player at the top of his blog. Select "ON-DEMAND" find the video you want to embed on your web page, then click on the embeded icon to the right of it's entry and follow the instructions.  This method not only puts the video on your web page, but it also lets the viewer brows for other videos available in the "ON-DEMAND area of Tallassee Times LIVE TV. You can be on Live TV. Click for our facebook page. Copyright 2010 by Bob Grosh All rights reserved.. Travel theme. Powered by Blogger. Click here for camera opeators, Large chat screen and a small video.